Active at NSO since 1978, NSO’s Older Adult Services (OAS) program helps older adults, living in group facilities and in nursing homes in Wayne and Oakland counties, to achieve the highest level of independence possible through a broad range of clinical, psychiatric, nursing and occupational therapy support. This program features OBRA (Omnibus Budget Reconciliation Act of 1987) for which OAS has held the competitive contract since 1989. Established by the Federal Nursing Home Reform Act (OBRA ’87), these assessments help determine whether a nursing home really is the best life setting for an individual. The vast majority of services are provided in the senior’s place of residence. OAS staff brings the “office” to the person, whether it’s a nursing home or the family living room. Services in these more natural settings often give valuable insights into each person’s everyday challenges, while allowing friends, family or caregivers to take part in treatment. The philosophy of OAS is that everyone deserves to live as independently as possible, that the individual’s hopes and dreams should be honored, and that all deserve required mental health services regardless of ability to pay, lack of transportation or residence. Each year, OAS provides mental health services to more than 5,000 individuals. NSO has helped more than 1,000 individuals leave nursing homes and live more independent lives. 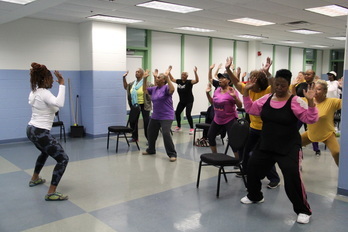 NSO partners with the Detroit Area Agency on Aging to provide Senior Support Coordination at the Northwest Activities Center. Senior Support Coordination helps seniors age in place by connecting them with existing resources in the community. 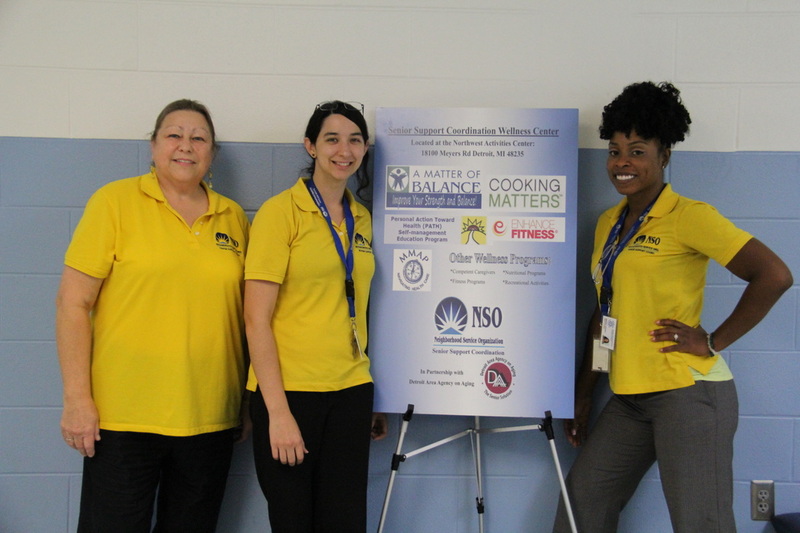 The program consist of a Wellness Center which will integrate community service navigation, congregate meals, nutrition education and social and health-related services to improve the overall well-being of seniors and caregivers. NSO is proud to partner with Medicaid and Medicare Assistance Program (MMAP). MMAP works to educate, counsel and empower Michigan’s older adults and individuals with disabilities, and those who serve them, so that they can make informed health benefit decisions. To learn more about MMAP, visit www.mmapinc.org or contact Senior Support Coordination at 313.864.7828 for questions regarding Medicare and/or Medicaid. Copyright © 2017 Neighborhood Service Organization. All Rights Reserved. NSO is a 501 (c)(3) non-profit recognized by the IRS.